It’s not just good looks though, because the Grand Canyon is a totally modern design, with reinforcing around the press-fit bottom bracket shell and seatstays for stiffness and durability, and there’s internal cable routing too. Canyon has also developed something called an Impact Protection Unit. This prevents full rotation of the handlebar to stop it, or your shifter pods, damaging the frame in the event of a crash. It’s basically a small wedge that sits on the top tube just behind the head tube — the idea is that the IPU takes the impact and breaks, leaving your frame intact. 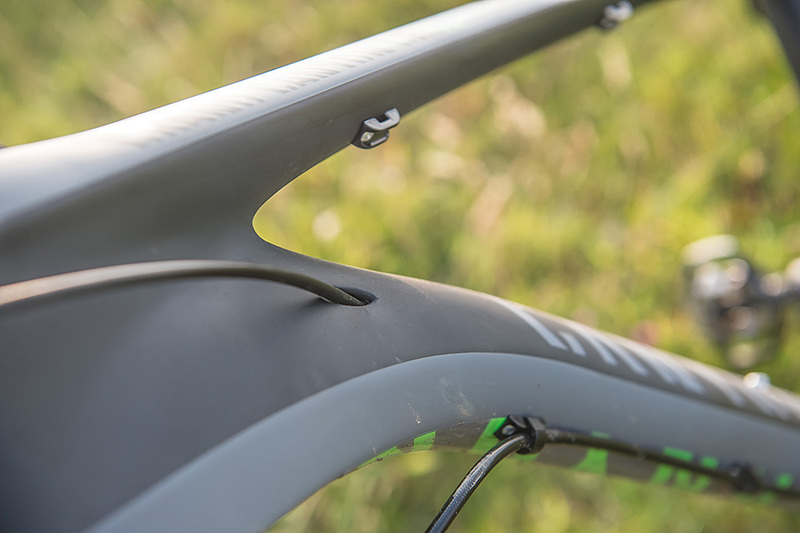 The frame is made in the same mould as the top-end (£2,399) 8.9, but Canyon uses cheaper, slightly heavier carbon-fibre to reduce costs on the 6.9. It’s still a light bike though, thanks to the 2×10 XT drivetrain and lightweight wheels. The Formula brakes are powerful but the lever design is awful, and they vibrate and squeal as you apply the power. This bike is a rocketship to ride, it feels like riding a road bike… but in a good way. It’s stiff as hell, and the low weight means that each pedal stroke is rewarded with instant acceleration. Your pedalling position is spot-on, poised just over the BB because the seat tube angle is so steep. Into singletrack it’s surprisingly good too, thanks to the slack (for an XC bike) head angle. It’s a lot of fun — short chainstays mean it’s easy to loft the front end and you can play around on the trail like it’s a full-susser. The back-end actually feels fairly comfy too, something I would improve further with chunkier tyres if I were to own this bike. There are a couple of downers though. It’s a touch too short in the top tube, but the worst thing is the basic Fox 32 Float fork, which can’t keep up — it’s too harsh on rough stuff. 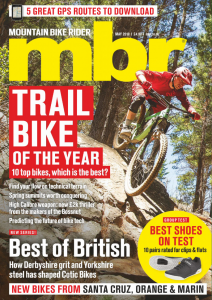 A RockShox SID or even an SR Suntour would make a huge amount of difference. It holds back a wicked little bike — perhaps the best thing to do would be to look at the next model up. You get a SRAM drivetrain and SID fork at a cost of £200 more. 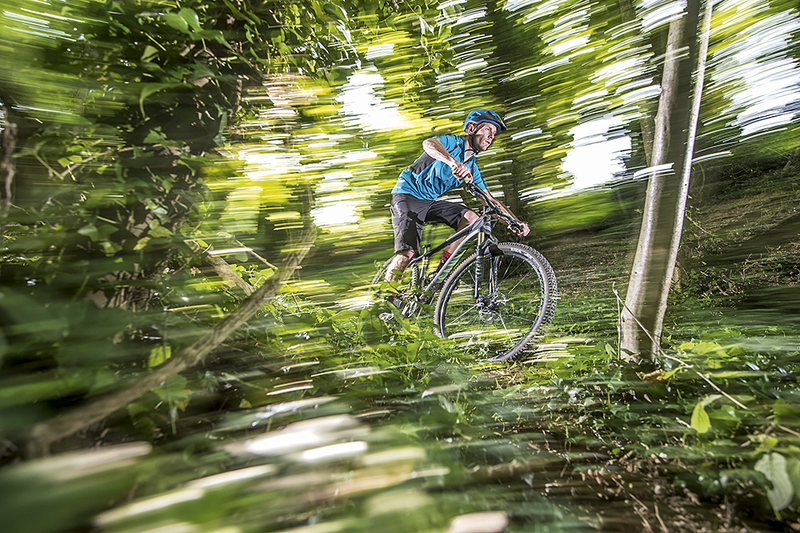 Read about the latest Canyon Strive with travel-adjust technology.